The brackets are supplied with the blind along with the child safety mechanism to attach to the wall. Note that the two brackets are different - one is for the control side, one for the spring loaded side. If your blind chain is on the left then your control bracket is to be fitted on the left. If you are fitting into tiles be sure to have the correct drill bit to ensure your tiles do not crack when being drilled. If you are fitting the blind on the inside of the recess then you have 3 options to go for when fitting the brackets - top, face or side fix. This is to secure the brackets to the ceiling of the recess. The only issue you may come across with top fitting is your window lintel, this will either be concrete or metal so making sure you are using the correct drill bit is essential at this point. You might get lucky and only be drilling into wood but always take your time and check your drill is on the suitable setting. This means going into the window frame. Note, with face fix you will always be left with screw holes in your frame and if your frame is UPVC it can occasionally void your cover on the window, so please check your warranty before drilling any holes. You should only need to side fix if you are struggling with the two previous options. 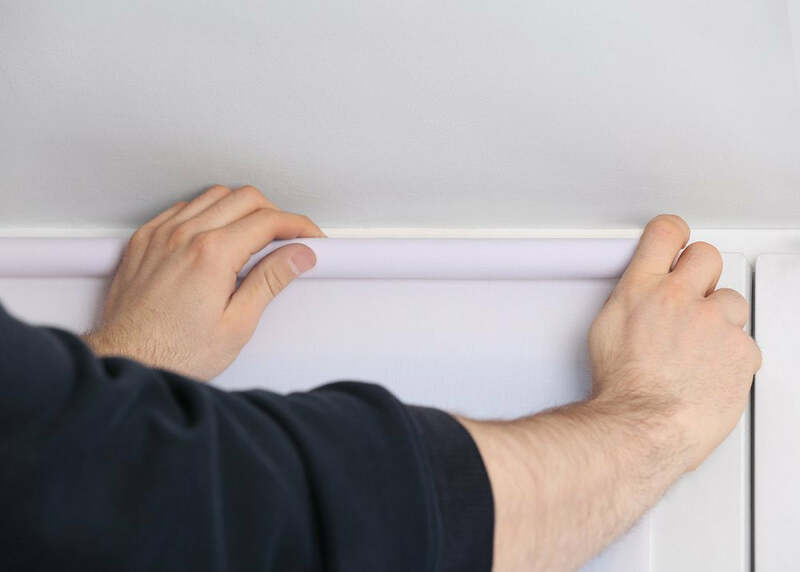 Always check before you fit the brackets that you have made an allowance for any handles that may be protruding out as the blind will need to clear these in order to roll down sufficiently. To fit the brackets to the right distance you need to step them in from the recess by approximately 0.5cm as you need the blind to be quite tightly fitted so it cannot jump out of the spring loaded bracket. The child safety mechanism is to be side fixed on the recess wall depending on what side your chain mechanism falls on. The height of this will be controlled by the length of the chain. It must keep the tension of the chain tight at all times. Fitting inside can restrict the amount of light coming through your window but the plus side of a roller blind is that they do not take up space when retracted. They look discreet and tidy. If you are trying to achieve a minimal look then a roller blind is the perfect choice. You only have the face fix option when fitting on to the outside of the recess. Be cautious not to drill too close to the bottom edge of the recess as this can cause the plaster to crack resulting in your fix not being secure. The child safety mechanism will be secured to the wall. You will not be restricting any light by fitting outside the recess. If you have ordered a made to measure roller blind then you are good to go when it comes to the fitting! No need to cut any cloth or the headerail, just two brackets and a safety mechanism to fit and your done! 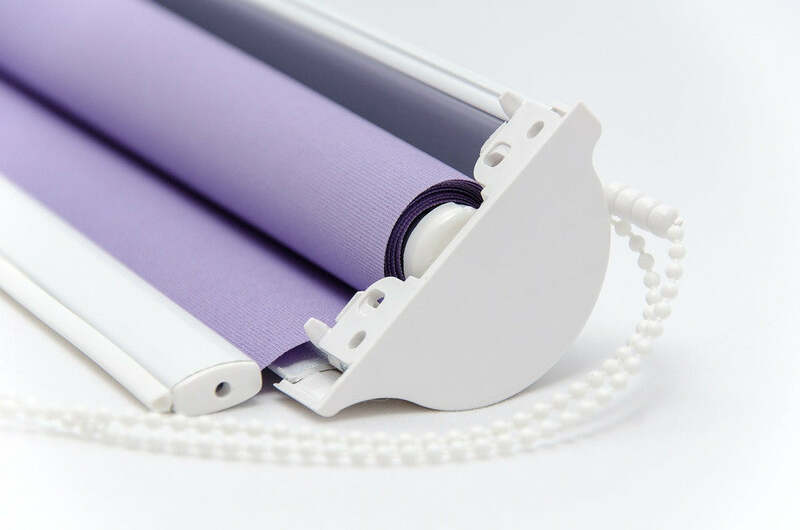 This is not a product that we supply but you this information may be useful if you need to alter the size of your made to measure roller blind at any time so suit a different window. This type of blind is designed to be cut to the correct size of your window by you. So purchase a blind that is bigger than the size of your window. 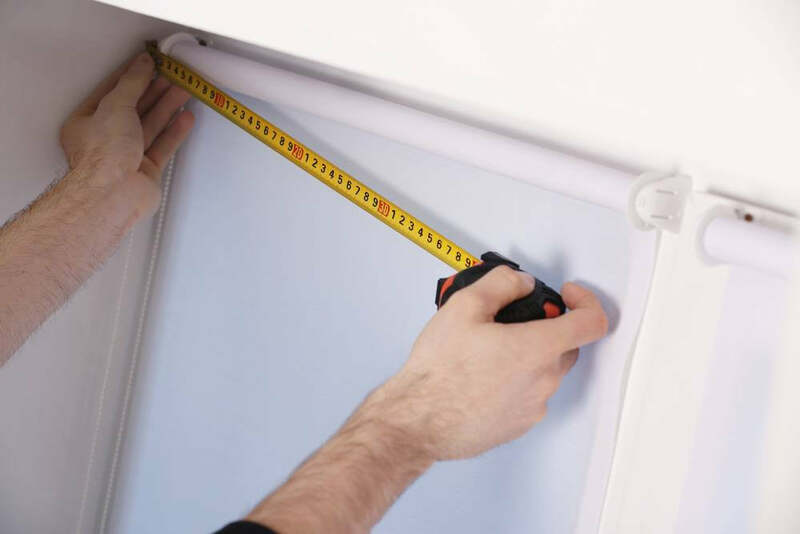 You may be lucky enough that a ready made roller blind will fit without having to cut to size. This normally applies when you are fitting outside the recess as you are not governed by a particular width. 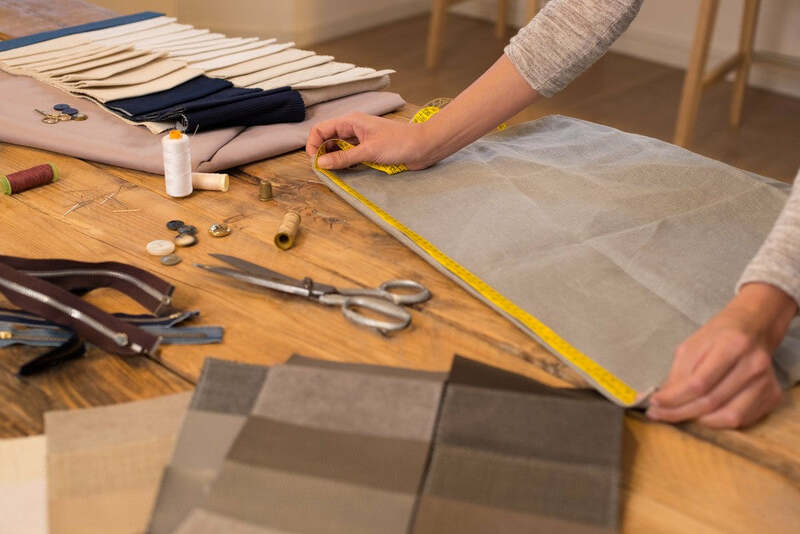 To start with you need to roll out the fabric onto a flat surface and measure a line ready to cut, sharp scissors are required for this and a small hacksaw to cut down the headerail. The fitting guidelines above will apply to this blind.